Q: Activity! Who is your to-die-for book crush? What do you think they look like? Patch Cipriano from the Hush, Hush series. 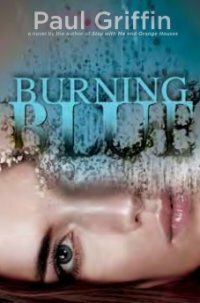 I recently saw Burning Blue on someone else's goodreads shelf and added it my own a few weeks ago. I was super happy when I saw my local library had a copy. I love the premise of the book and so far I must say it is really good. I know I am. Sunday I am going to my first anime convention. WOO HOO! Hi I am a new follower via GFC. Patch is a good pick I am currently reading Finale. Whoa, that guy is good looking. I could see him as Patch. 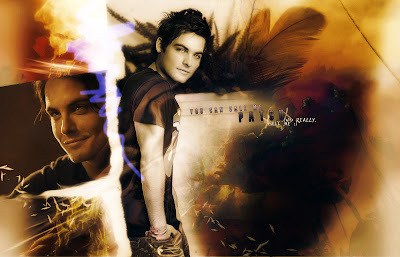 His face is a little pretty for my tastes, but Patch, seeing as his is a fallen angel, should have a pretty face. And lots of muscles! I don't know the series, but damn is that man HOT! Great choice. New follower via GFC. Haven't read the book but that man has a NICE body. Burning Blue was awesome. 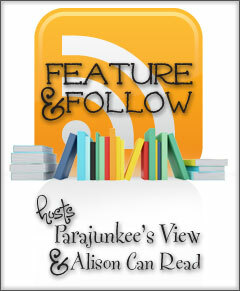 I thank my pal Nikki at Fiction Freak for letting me know about it. When my local library received a copy I brought it home and couldn't stop reading until I finished. Can't wait for your final review. I hope you love it as much as I did. The end BLEW my mind, but the weird thing is I had guessed that was the one who did it. Burning Blue looks great! This week's read for me was Pride and Popularity, a Jane Austin retelling.